Guyana’s Audit Office will be lending its support to the Guyana Extractive Industries Transparency Initiative (G-EITI) Secretariat in an effort to ensure the nation’s first report to the EITI fold is comprehensive and accurate. The nation’s report is due for submission in April. 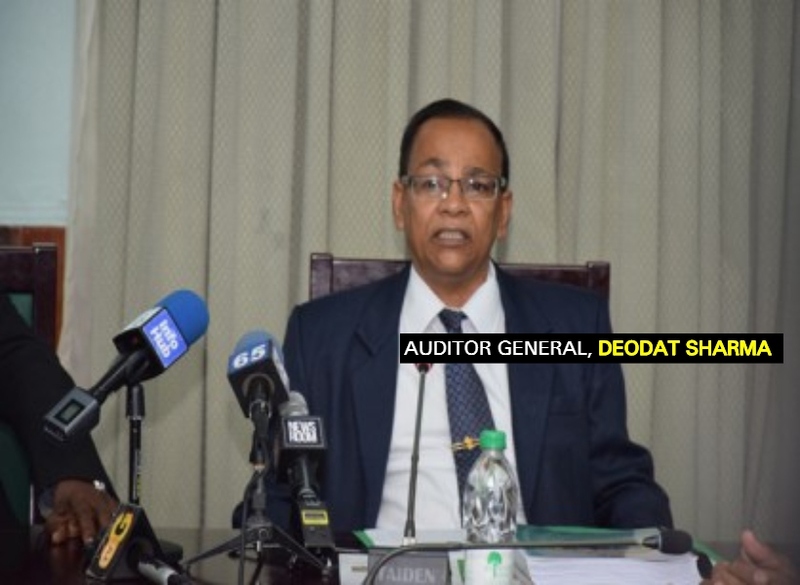 Speaking with the Guyana Standard this morning, Auditor General, Deodat Sharma explained that audit institutions and local EITI bodies have a lot in common. He explained that both are involved in reconciling extractive sector accounts and are focused on ensuring public resources are managed well and in citizens’ best interests. In this regard, Sharma shared that his office is constitutionally mandated to provide regular, independent checks on the accuracy of all government accounts. He said that the national EITI process would be able to turn to the audit office for this verified data. Further to this, Sharma said he is interested in ensuring that the Audit Office has a seat at the EITI table. Having a seat at the table he contended, might allow the Audit Office to directly contribute to strengthening the country’s EITI priorities and processes. “It might also help us to be more effective,” he added.